It's common knowledge that walking benefits your physical health. But have you considered that walking is good for your soul? 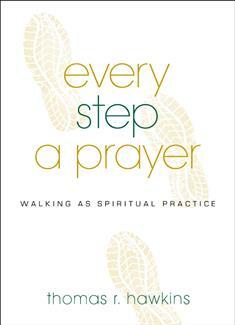 Every Step a Prayer explores the history of walking as a spiritual practice and introduces you to several methods of walking meditation and prayer. Thomas Hawkins provides a new look at the way we walk together as the people of God in worship, in mission projects, and for social justice. He invites you to experience walking not only as an activity you do for health, leisure, or transportation but as a way to grow closer to God. Each of the 6 chapters includes reflection questions and suggestions for prayerful walking.